Today I have another amazing resourcepack to show you. 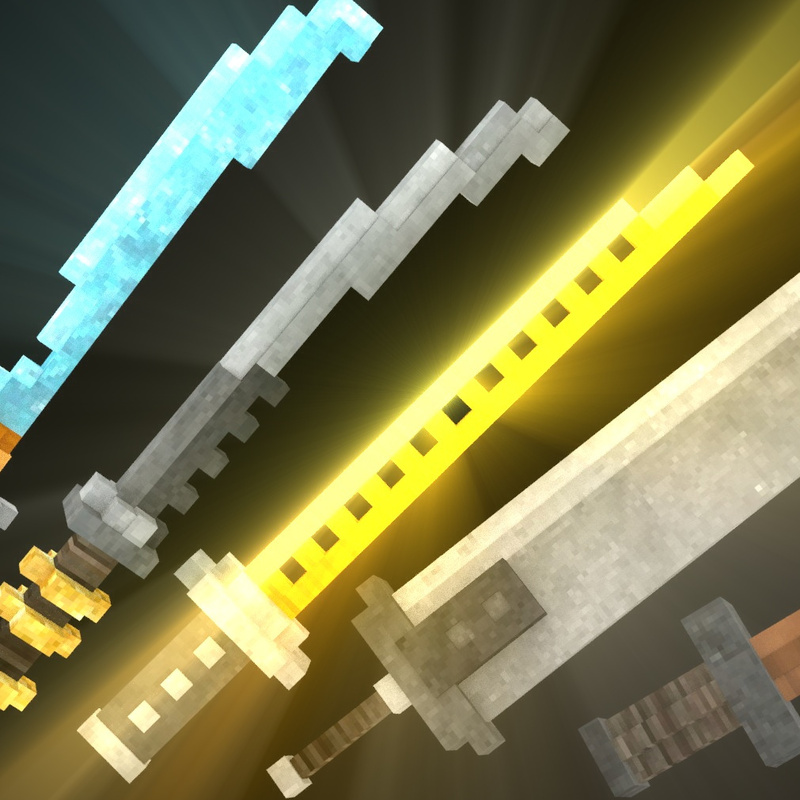 The resourcepack adds five awesome Sword Models to your Game, that even glow in the night, if you are using the latest version of OptiFine! So this pack has emissive texture support! Note: Emissive Textures will only work if you use OptiFine 1.11-1.12.2 HD U C7 or upper Versions. Need help getting this to load. I'm using a mac, minecraft 1.12.2, forge 142.3.4.2705, optifine 1.12.2_hd_u_d3. It's my first .zip, and my only mod that won't load from within my mods folder. Instructions or resources to get instructions, please. Thanks. It is a resourcepack and that is why it won't work if you put it in the mods folder. You have to put it in the resourcepacks folder. I see. I got it to load from the resourcepacks folder. Thank you!